Scouting is: Patrick Sterrett of the Crossroads council of the Boy Scouts of America talks on the benefits of scouting both tot eh scout and the community. 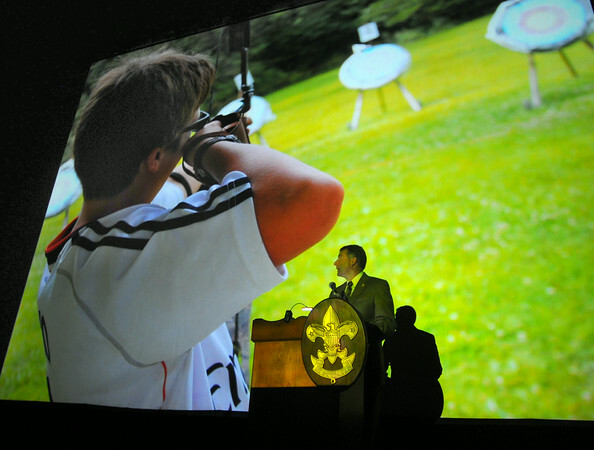 He spoke at Terre Haute’s night of Scouting Thursday evening in the Indiana Theater. The event was designed to honor Bart Colwell for his community involvement.